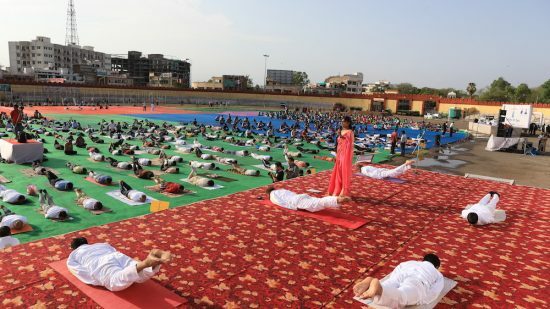 With the influential celebration of International Yoga Day, many fitness instructors took charge to let people know about the importance of health aspects gained through Yoga. 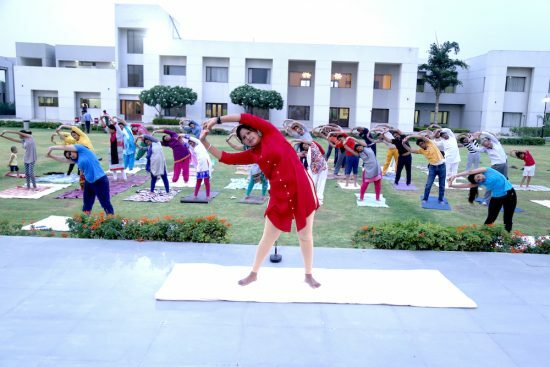 Same in the series, Mrs. Shubha Surana, certified expert in the field of Yoga and Fitness Therapies, took back-to-back regular sessions and maintained her part of social service towards people through her Yoga sessions. So far she has worked with the best school, renowned institutes, top-most hotels, and corporates while sprawling her knowledge and experience of fitness. 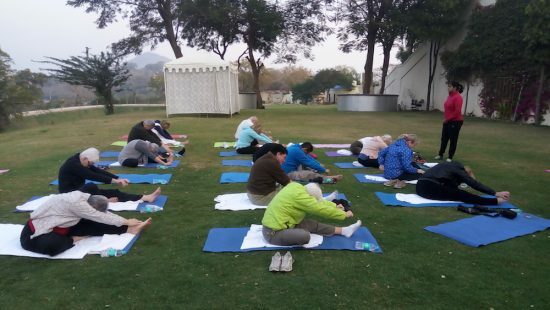 And, again after year duration, this time she took 16 regular Yoga sessions in Udaipur. 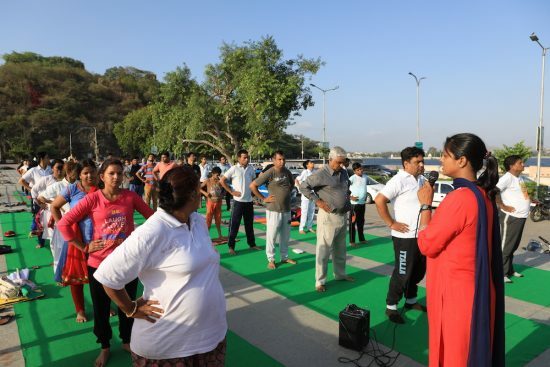 Previously, she took the sessions of Officials & NCC Air Wing Cadets who came up to practice Yoga. 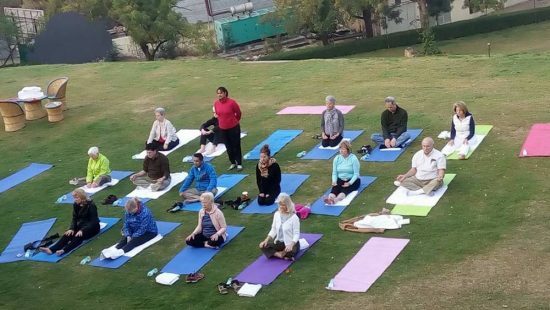 And, this time from 14th June to 21st June till International Yoga Day, she came across with social sessions at different places. Out of which, the highly anticipated were of GBH American Hospital, Bar Association Udaipur, Moti Magri, Fateh Sagar Pal, Gulab Bagh, Saheliyon Ki Bari, Fusion Outsourcing, and the main event on 21st June at Gandhi Ground, which was attended by various government authorities and more than 3000+ people who participated & appreciated the session. For such a great effort and success of events, the major authorities felicitated Shubha Sharma in all the sessions carried out by her. When we asked about her behind inspirational source to go on with energy in such a graceful way. She stated “I have been to this field from last 13-14 years and many people have inspired me to go on with this flow. And, this time, the platform of teaching Yoga on International Yoga Day to government authorities and native people in Gandhi Ground was most awaited for me. After taking yoga sessions of more than 500+ NCC cadets and receiving felicitation by Shri Gulab Chand Kataria (Hon’ble Home Minister), Dr. Keerti Jain (Chairman, GBH American Hospital), and many more, I still take its long way to go. And, wanted to extend my thank you note to Dr. Deependra Singh Chouhan for showing confidence in me. Hence, we can conclude fitness is something that is not gifted; you have to earn it with passion and lead others as well towards it. 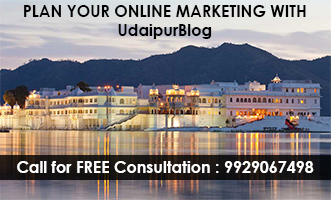 PM Modi to wear a Pagdi tagged ‘Made in Udaipur’!! !